Most of us will have at least one recurring dream during our life. A dream that will keep haunting us. Either because it is so scary, or because it is too good to be true. And it usually is. We dream about places we never visited, people we never met, things we never did. If we dream about them once, we forget all about them after some time. But what happens when the dream doesn’t go away? And is it only that, a dream? Many theories have been formed throughout the years as to what our dreams can mean to us. We have seen books that describe what each symbol means. But what’s wrong with that? Well, to start with, they are mostly generic things. Quite often the symbols in our dreams aren’t even included, or they could mean anything and everything. The good news is that there is another way to interpret recurring dreams. Those dreams have a significant meaning for us, we need to learn from them before we can move on. And we can do that with the help of the Tarot. Especially The High Priestess Tarot card. How and why? Previously we did a few articles on meditation, and especially meditating using a Tarot card. It is a fairly simple process, but it takes practice. But once you get used to the notion, The High Priestess can bring you the answers you seek. Why? 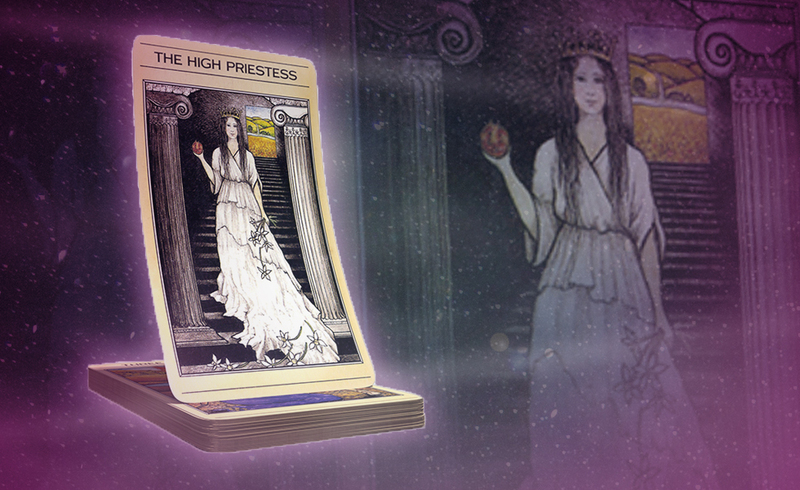 Because The High Priestess represents your subconscious, your intuition, and your connection to the dream world. It’s an in-between card, if you like, or a channel through which you can connect to your inner self. So, hold it in your hands, relax, close your eyes, clear your mind, and follow your instincts. They will lead you in the right direction. First you are inexperienced, and that’s okay. You have already started your journey if you are reading this right now, so don’t worry. Let go of your logic and focus on your emotions. Let your heart guide you! You might not succeed first time, but that’s okay. Very few were born with the ability to interpret dreams, but the good news is that it can be learnt. Even if you won’t be able to change the world, you will get a better understanding of your dreams. What they mean to you, their hidden messages. But it takes time, so give yourself time. Eventually you will get there. If stuck, do some extra research. Good luck, and let us know when you have deciphered your dreams. It’s an exciting journey for sure! Previous ArticleBig Signs Kim And Kanye Marriage Won’t Make ItNext ArticleThey Now Have A Ghost Repellent Machine For Your Home!